This 4 week course has been designed to improve all aspects of your game. It is aimed at players who attend social sessions at the club but are looking for improved technique to maximise their effectiveness in games. Chris will be focusing on the 5 Ball Characteristics (Speed, Spin, Depth, Direction and Height) in all the Game Situations. The lessons will ensure you are equipped to have the skill/knowledge to control the Ball characteristics and then also work tactically to ensure you make the correct choice when playing. 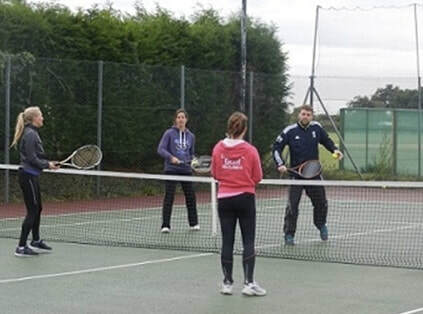 There will be some focus on Doubles tactics too and will ensure you continue to improve your game as quickly as possible.